The annual value of the global space-based economy is roughly estimated to be somewhere between $150 and $300 billion. These figures include both government expenditure and the revenues of private firms. In addition to developing both hardware and software for space, companies are now also initiating the next steps in space exploration. An example is Luxembourg-based ispace that will send its lunar exploration rover robots to the Moon in 2020. And this is just the beginning. Dr Ben Corin, Research Staff Member at US-based IDA Science and Technology Policy Institute, indicated that the next activities generating private space business would include private space stations, in-orbit servicing, assembly and manufacturing and asteroid mining as well as fields such as the removal of space debris, in-space transportation and in-space research. 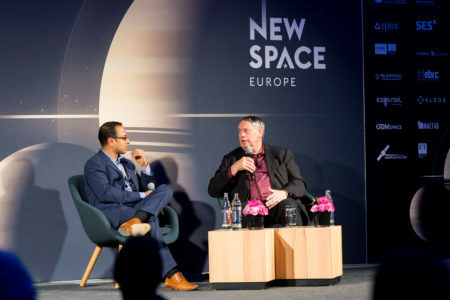 Pete Worden, Executive Director of scientific and technological exploration programme Breakthrough StarShot, went a step further and predicted that the first human settlement in space will happen in the middle of the next decade. The reasons for this extremely fast progress are many and include notably the high speed of innovation and technology development which allow bringing down costs while also improving the efficiency of space applications. Satellites have been used since the late 1950s to observe the Earth. Many observation satellites are today operated by private companies, and innovation has made it possible to obtain high-resolution data from the most remote areas of the planet regardless of the weather and the time of the day. Luxembourg-based Spire uses satellite data to track ships, airplanes and weather phenomena. Other fields of application include, for example, crop monitoring, disaster recovery and border control. People worry about the loss of jobs due to artificial intelligence, but when applied in space activities it can actually create a huge amount of new jobs. The potential use of Earth observation data is virtually unlimited, but the sheer volumes of data collected are daunting and “way beyond what we, or even a supercomputer, can cope with,” according to Alison Lowndes, Artificial Intelligence DevRel EMEA at American technology company NVIDIA. In her opinion, the use of artificial intelligence is necessary to fully exploit these data and derive benefits for a wide range of industries. “People worry about the loss of jobs due to artificial intelligence, but when applied in space activities it can actually create a huge amount of new jobs,” she said. With so much space activity carried out by the private sector, is there still a role to play for governments? Conference panellists answered this question with an unequivocal yes, pointing out that commercial does not mean that governments are no longer involved. Even smaller countries such as Luxembourg can have a huge impact when it comes to creating favourable framework conditions for the space sector to prosper. “It is very important to have a government that is progressive and forward thinking,” said Pete Worden (Breakthrough StarShot). “The future of the space industry resides in places where smaller, efficient, visionary government able to move quickly can play a big role. The Luxembourg government should be commended for doing exactly that. The future of the space industry resides in places where smaller, efficient, visionary government able to move quickly can play a big role.